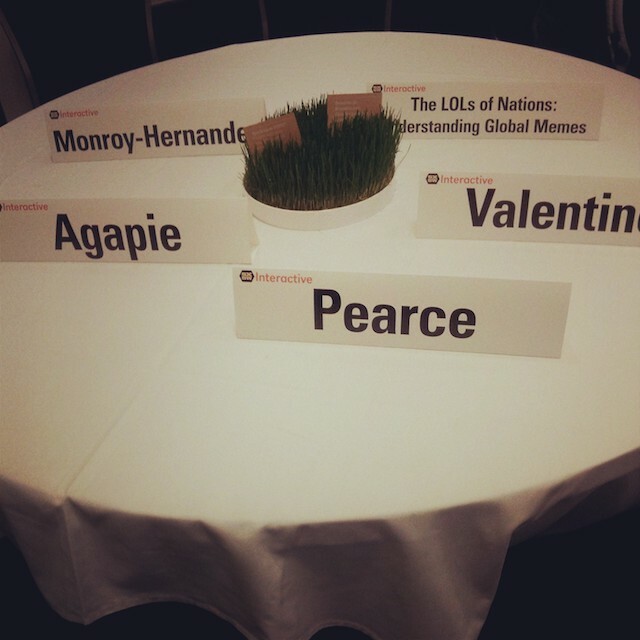 The second day of SXSW I spoke on the panel, The LOLs of Nations: Understanding Global Memes, looking at the role of memes in civic life around the world, focusing specifically on Azerbaijan, Mexico, Romania, Uganda, and Kenya. I joined Andres Monroy-Hernandez, who discussed Mexican memes and Elena Agapie, who talked about Romanian memes, both of whom are currently researchers at Microsoft Research. To round out the largely uplifting panel, Katy Pearce, Assistant Professor at University of Washington, presented on Azerbaijani memes being used by the government against activist movements. My presentation focused mostly on Ugandan and Kenyan memes. As I mentioned in the presentation, being based in the US, it’s important to say how strongly my research was guided by ongoing conversations with Daniel Mwesigwa, a writer for Tech Post Uganda, a leading tech blog there, Samuel Kamugisha, who runs the One Question Network, as well as my personal experience studying in Tanzania and Malawi for five months. Here are our slides, above. I’m not going to summarize the presentation (audio should be coming out soon), but I do want to reflect on a few key points discussed. 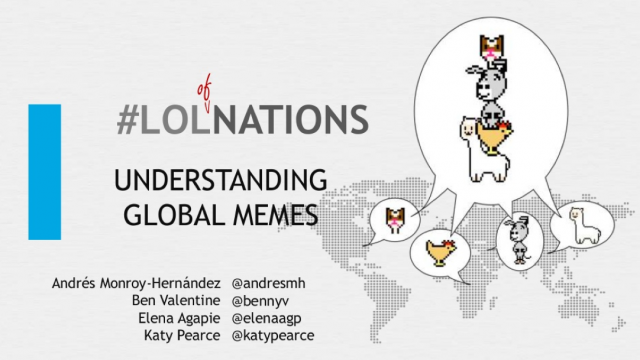 The geographically diverse research was very important to us – we wanted to emphasize that memes aren’t only emerging from the US, and in fact have a great breadth of variety all around the world. Cute animals are popular, but Mexicans might use a cat to discuss politics, while in Uganda goats and chickens are more popular. Goats vs. cats is a surface level difference, but representative of how these memes emerge from complex cultures and environments with unique influences. While cute animals were common all over, the political environments they were responding to was not. Signaling desires, reactions, and political preferences in funny ways can be very important, especially to populations who previously had been underrepresented in mass media. Humor is a tool, used to make a more inviting conversation for a broader public. This is especially useful for activist-like content, which often alienates most people. So when internet humor site, Urban Legend Kampala, helped “find” some of the governments 30,000 missing goats vital to a local program for economic growth, it was anger appearing tongue in cheek that managed to get so much attention to an old and common problem: corruption. Given the rather polarizing conversation in the media about online activism, our panel discussed several times that memes were tied with real change. Although exciting, every instance we mentioned was backed by other types of support. Legal challenges, institutional pressure, physical protests, other media representation, and other types of thicker engagement must materialize to make changes. Recognizing the specific qualities of memes and how they can work with other more traditional forms of power is the real question we need to be asking. Ending our panel with Pearce’s research on the Azerbaijani government using memes against activists was very important to rounding out our discussions. Memes aren’t inherently good, they are good at spreading messages quickly in a way people instantly understand. I had been thinking about memes as a sort of grassroots, citizens’ marketing tactic, but Pearce showed how they aren’t limited to citizens at all. While networked authoritarian countries learn ways to use memes for their own goals – my hope is that their low barrier to use/remix will bias the individual over businesses and governments. Pearce’s research reveals a cause for concern, but not hopelessness by any means. 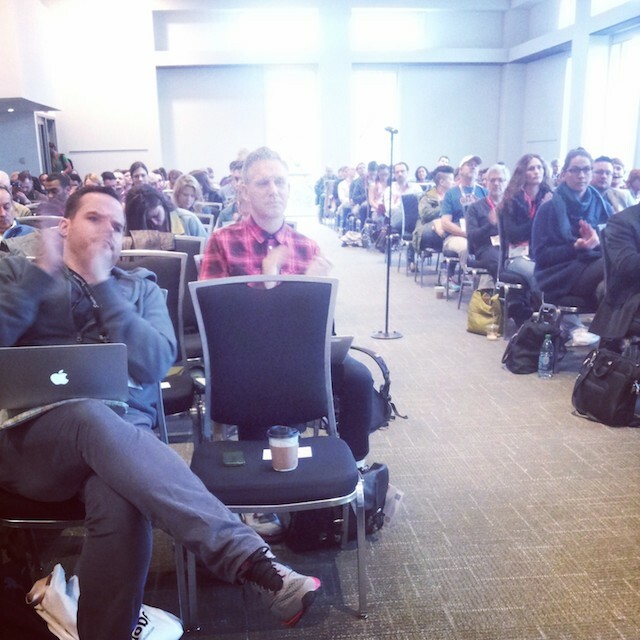 We had a good turnout and great questions from the audience, which is always a good sign. It was great to see people representing Personal Democracy Forum, Free Press, BBC, WITNESS, and more in the audience – confirming the importance of visual and viral citizen media in today’s media climate. So many organizations all over the world are trying to figure out how to cut through all of the noise and get their message out; these civic memes can be one important way of doing that.